Visual health needs are changing. Our industry is today challenged by major societal trends such as aging populations, new digital behaviors, the emergence of middle classes and the purchasing abilities of low-income consumers in high growth countries. With over €200 million each year devoted to research and development, 45% of the products we market today were created less than 3 years ago. Innovation has always been a cornerstone of the Group’s strategy. 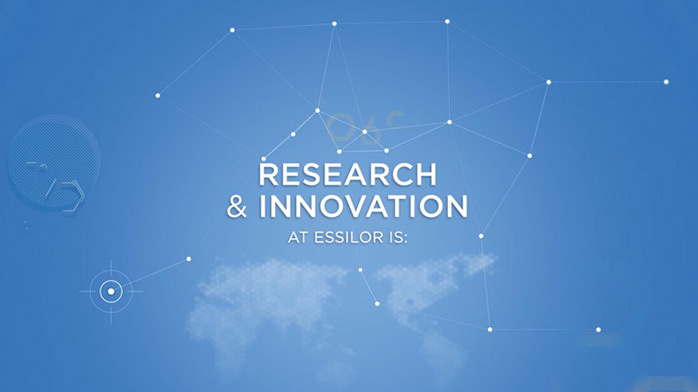 Essilor’s approach to innovation is all about responding to consumer needs, continuously and as they evolve. To do this, we maintain a constant watch for new scientific discoveries, work over the long term with leading external research partners and bring new talent into our teams whenever necessary. This ability to innovate is part of our DNA and draws on a very diverse network that combines inputs from our own R&D and Marketing teams, the expertise of business partners as well as collaborative contributions with external organizations, research institutes, industrial Groups and academia… Our strength lies in our approach of establishing a research network of long-term partnerships with the best public and private specialists in their field – with the Vision Institute in France, University of Montreal in Canada and with the Wenzhou Medical University in China. An optical lens is a technological product: it is therefore essential for us to continually innovat. Improve existing solutions in order to meet new needs linked to evolving demographics or changes in lifestyles. We do this by developing new manufacturing processes or creating new categories, such as Eyezen™ lenses designed for connected life. By enriching all levels of our product range, from personalized lenses to the simplest eyewear, we provide effective and accessible solutions that are adapted to specific and evolving consumer needs. At Essilor, we focus on improving our products for correction, protection and prevention for visual health. To meet this challenge, marketing and innovation are inextricably linked. Upstream, our Innovation and Technology Centers work in direct contact with our markets. Their primary resource: the “weak signals” detected by our technological and market intelligence networks. Downstream, researchers work with marketing teams and Essilor’s Global Engineering teams to quickly make innovations available to consumers. Poor vision is the world’s most widespread disability. The 4.6 billion people today who need vision correction will be 5 billion by 2020. Needs are evolving, particularly because of an aging population and changes in lifestyles. Around the world, intensive screen use is creating new needs for prevention and protection. The Essilor Group’s ambition is to protect the sight of the world’s 7.4 billion inhabitants. Launched in 2015, Essilor’s range of Eyezen lenses was born from the observation that our digital lifestyle creates visual fatigue for 3 out of 4 people today. To meet this new need for protection, R&D teams combined two Essilor technologies – Eyezen™ Focus to help the eye adapt to close viewing distances and ultra-close mobile devices and Light Scan, which filters harmful blue-violet light emitted by digital displays. Essilor’s approach to progressive lens design has always centered around the wearer. Varilux® X series™ is designed to address the key visual challenges of modern presbyopes, and it is the only progressive lens to feature Xtend™ technology, a revolutionary new design calculation that significantly extends the area of sharp vision within arm’s reach. With Xtend™ technology, patients no longer have to tilt or angle their head to find “just the right spot” – a common challenge with ordinary progressive lenses. Varilux® X series™ is the product of five years of research and development, studies among thousands of wearers, and 15 new lens design pending patents(1). (1) 15 pending patents referring to regular, short and personalized versions of Varilux® X series™. 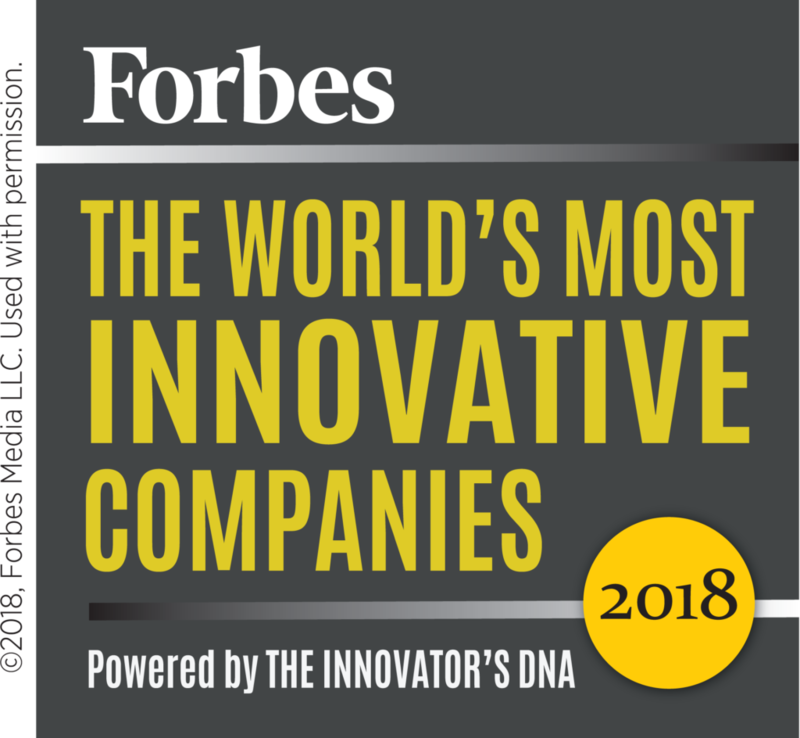 In 2018 the Group was ranked for the eighth consecutive year by Forbes magazine among the 100 most innovative companies in the world.